The unsung hero of your home has to be your carpets. From providing a cushy landing for your feet when you get out of bed in the morning to warming your toes on a cold winter’s night, your carpets give you and your family regular comfort and enjoyment. So why not give something back to your carpets, too? To maximize the life and appearance of your carpets, they require regular care. Your carpets require professional carpet cleaning services to maximize the carpet’s life and maintain their fresh appearance. While home carpet cleaning machines may extract superficial dirt and stains, they can also take a toll on the carpet itself. Only cleaning performed by trained professional cleaners using the latest in cleaning technologies will ensure that every fibre of your carpet is thoroughly cleansed and refreshed without damage. The trained professionals at Finest Cleaners have specialized training and years of experience cleaning all types of carpets. Our cleaning company’s trained professionals understand the nuances of different carpet types and how best to clean them. Our cleaning company Lambeth uses only non-toxic cleaning agents to ensure the safety of every member of your household, including treasured pets. Our team will carefully move furniture to ensure that every fibre in your carpet is thoroughly cleaned to the highest of standards. Our carpet cleaning service Lambeth results will leave you speechless. 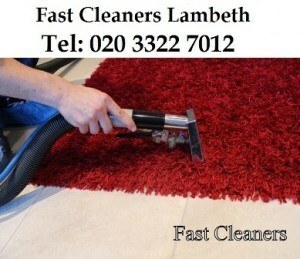 To get hold of us please call 020 3912 1186 and ask about our cleaning prices.